They seemed an unlikely pair of spies. The older man, Majid Ghorbani, worked at a Persian restaurant in Santa Ana. At 59, he wore a thick gray mustache and the weary expression of a man who had served up countless plates of rice and kebab. Yet even as the men sipped coffee at a Costa Mesa Starbucks, chatted outside an Irvine market, or made trips to Macy’s at South Coast Plaza, they were trailed by federal agents. Despite the men’s disarming appearance, U.S. authorities allege that they were operating in Orange County as agents of the Islamic Republic of Iran — an accusation that has alarmed many in the local Persian community because it suggests that tensions between the U.S. and Iran have spilled over into Southern California. The men’s goal, authorities say, was to conduct surveillance on Israeli and Jewish facilities in the U.S., and to collect information on members of the Mujahedin Khalq ––the MEK –– an Iranian exile group that has long sought to topple the regime in Tehran and has newfound support among members of the Trump administration. From the summer of 2017 to the spring of 2018, authorities say, the men crisscrossed Orange County and the U.S., making videos of participants at MEK rallies in New York and Washington, D.C., and photographing Jewish centers in Chicago. During that time, the men also flew back and forth between Iran and Los Angeles International Airport, and appeared to be assembling “target packages” — dossiers that would “enable an intelligence or military unit to find, fix, track and neutralize a threat,” according to documents filed in Washington federal court. In at least one instance, the men were recorded by an FBI listening device as Ghorbani briefed Doostdar on a New York MEK event in September 2017, according to court documents. The MEK is a shadowy organization with a militant past. Until 2012, it was deemed a terrorist organization by the U.S. State Department. Although few Americans have heard of it, the group has vexed the Iranian government since the revolution of 1979, when members helped to overthrow the shah. Led by a husband-and-wife power couple — Massoud and Maryam Rajavi — the group was sheltered and armed by Saddam Hussein for nearly 20 years. Known for its female-led military units, the MEK was disarmed after the invasion of Iraq in 2003. Massoud Rajavi went missing that same year and is believed to be dead. Despite a long history of lobbying U.S. lawmakers and officials for support, few have taken the group seriously —until now. President Donald Trump’s national security adviser, John Bolton, is not only a prominent hawk on Iran, he also has championed the MEK. Rudy Giuliani, Trump’s lawyer, has also supported the group. Although the Trump administration has not explicitly said that it seeks regime change in Iran, it has reimposed economic sanctions and pulled out of a 2015 nuclear deal. Those actions and cozier relations with the MEK have apparently worried Iran enough to act against the group. In a case similar to the one in Orange County, two Iranians in Albania were arrested in March after allegedly conducting surveillance of the MEK. In July, an Iranian diplomat in Germany was arrested on suspicion of plotting to bomb an MEK rally in Paris. “This is escalation of Iran attempting to attack us,” said Alireza Jafarzadeh, the U.S. deputy director of the National Council of Resistance of Iran — an MEK-linked organization. It is unclear how Ghorbani and Doostdar first came into contact, but investigators believe their first meeting occurred behind Darya, the Persian restaurant where Ghorbani had worked for more than 20 years. Doostdar was born in Long Beach but left at a young age for Canada and then Iran. An energy tech consultant, Doostdar had visited the U.S. only a few times, court documents say. His wife gave birth in late August and was hoping to bring her to the U.S.
Ghorbani, who neighbors and co-workers described as quiet and easygoing, was born in Iran but immigrated to the U.S. in 1995. He and lived with his brother in a Costa Mesa apartment complex not far from the restaurant. Investigators said Ghorbani also infiltrated meetings the MEK held at Darya. In early August, Ghorbani met with MEK members as they discussed sending three American senators to evaluate the group’s base in Albania, according to the indictment. Rene Redjaian, a spokeswoman for Darya, said the restaurant owners had no idea that Ghorbani was involved in spying. “Our owners love America and knew nothing about the events that took place at Darya,” Redjaian said. As time went on, the men continued their alleged covert operation, unaware that federal agents were closing in. In December 2017, Doostdar returned to Iran, allegedly to hand over the intelligence Ghorbani had collected. Unknown to him, FBI agents searched his checked luggage at LAX and found a CVS pharmacy envelope. Inside the envelope, FBI agents found photos of Ghorbani standing next to people who were at the New York City MEK rally from September 2017. Many of the photographs had names and positions of the individuals written on the back, including one photograph that had “Dr. Ahmad Rajavi, the brother of Massoud,” written on it, prosecutors said in court documents. In March 2018, Ghorbani traveled to Iran to conduct a briefing on how to take photos for an upcoming conference supported by the MEK, prosecutors allege. When he returned April 17, authorities found in his luggage a list written in Farsi that detailed his future tasks, including deeper infiltration into the MEK and recruiting another person, according to court documents. The men never succeeded in allegedly recruiting another operative, however. 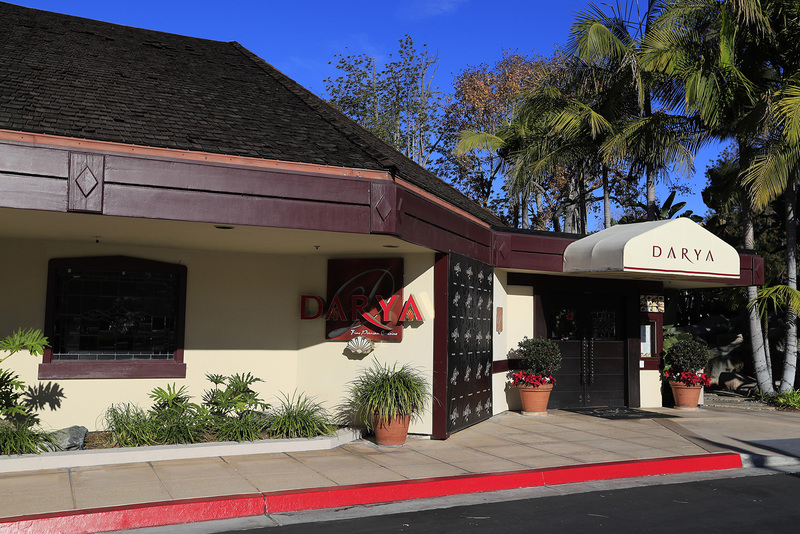 On Aug. 9, FBI agents swarmed Darya restaurant and arrested Ghorbani. Doostdar was arrested the same day in Chicago. Both men have been accused of acting as agents of a foreign government without notifying the U.S. attorney general, and with providing services to Iran in violation of U.S. sanctions. Both men have pleaded not guilty and remain in custody. Ghorbani’s lawyer has declined to comment on the case. Doostdar’s attorney, Thomas Durkin, said he’s suspicious about the timing of his client’s arrest considering it comes soon after Trump reimposed sanctions against Iran. “There’s political machinations going on between the Trump administration and Iran. Why did the government all of a sudden decide to arrest these people?” Durkin said. The arrests of Ghorbani and Doostdar have shaken many in Orange County’s Persian community. “There is a sense of fear in the Iranian community that the regime in Iran are sending people to USA and keeping track of movements,” said Mike Kazemi, an Irvine immigration lawyer. For those in the Persian community who are against the Islamic Republic but also disagree with the Trump administration’s Iran policies, the escalation in tensions has been disconcerting. They say it is a reminder of how American and Iranian officials view members of the Iranian diaspora with suspicion. “We are in the middle of two hard places,” Kazemi said. Yet others in the community say they refuse to allow geopolitics to interfere with their day-to-day lives. Nasrin Rahimieh, a professor of humanities at the University of California, Irvine said she understands how recent developments might cause some Persians to feel afraid of being too visible. Throughout her career, Rahimieh said, she has been chastised for either appearing pro-Islamic Republic or anti-Islamic Republic. But those experiences led Rahimieh to speak out against what she said is the fearmongering rhetoric in today’s political environment.